The co-ordinate measuring machine (CMM) has become an indispensable tool in the process control regimes of modern production lines. Whether in-line or off-line, CMMs provide the most accurate measurements of parts ranging from turbine blades to engine piston rings. This case study explores how DUKIN designs CMMs that minimise measurement errors through robust mechanical design and position feedback and how the recent expansion of the DUKIN product range to cover a variety of different accuracy and capacity requirements has been supported by Renishaw. 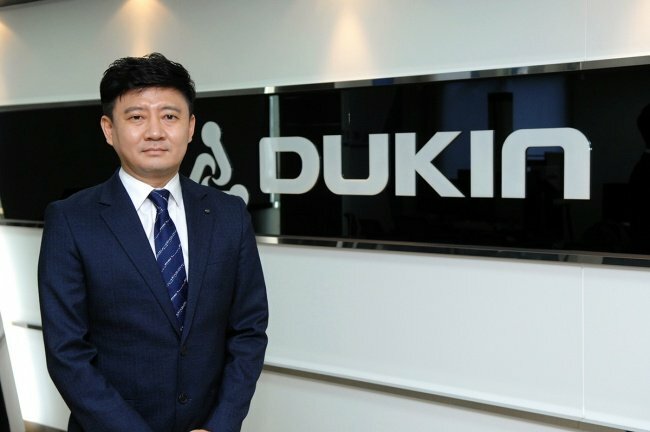 DUKIN Co., Ltd., based in Korea, designs and manufactures a wide range of coordinate measurement machines (CMMs) that meet standard to ultra-high precision levels of metrology requirements in the electronics, automotive, aerospace and other industries. 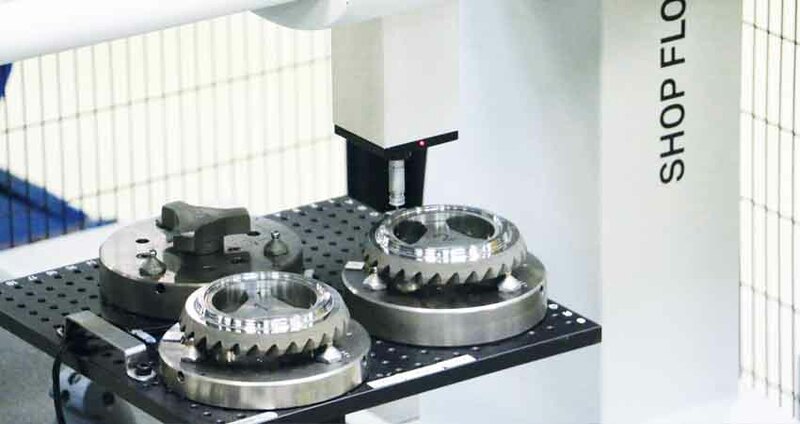 These CMMs are used to capture three-dimensional measurement data on high precision, machined components such as car engine cylinders and aircraft engine blades as part of a quality control process. 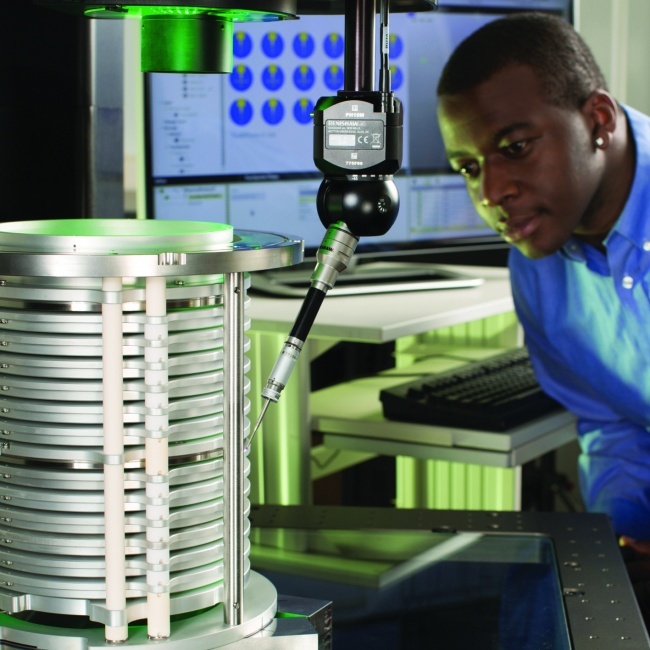 The CMMs integrate either Renishaw optical or laser encoder systems to meet varying metrology challenges. Linear position encoders are used in conjunction with Renishaw contact and vision probing systems to measure discrete points on a workpiece. This data is then used to ensure that parts meet predetermined tolerances. Manufacturers require CMMs that achieve high performance and system stability, which is affected by temperature fluctuations and greatly impacts overall accuracy. 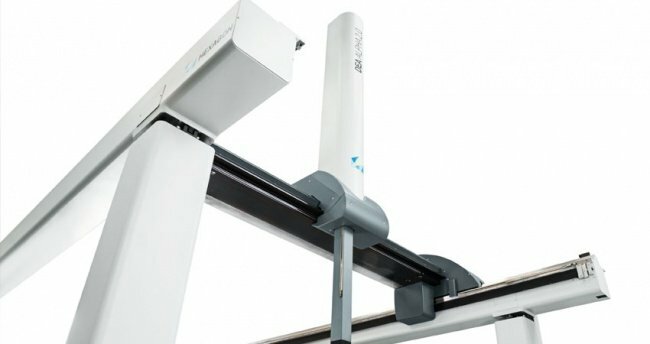 The instability in linear position measurements taken on the gantry axis affects inspection throughput and measurement accuracy. 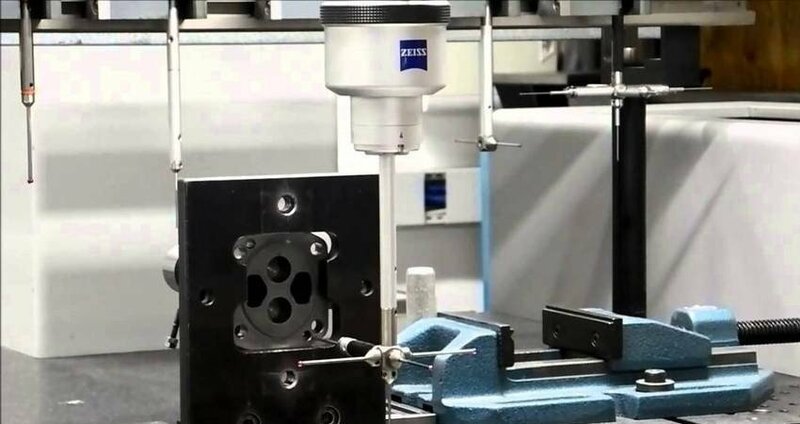 Even when deploying Renishaw’s high speed 5-axis systems, which synchronise the movement of the 3 axes of the CMM and the 2 axes of the measuring head to inspect the part, the stability of the linear position measurements is important. 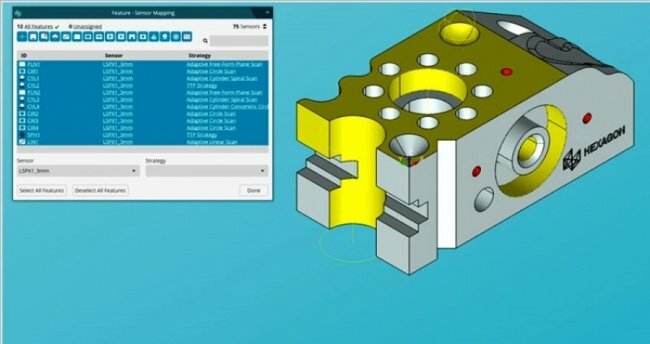 DUKIN uses Renishaw’s PH20 and REVO 5-axis probe systems on their CMMs with the understanding that robust CMM design is essential to realise the full performance potential of these measurement systems. System designers at DUKIN deploy robust design principles and use high quality materials and components to minimise the amount of measurement error. These mechanical design approaches are applied in conjunction with software that compensate for errors caused by thermal expansion. A combination of statistical and theoretical modelling and accurate live measurements of position and acceleration are used for force feed-forward control of the CMM’s motor driven axes. For example, in a CMM bridge design; the X-axis (along the bridge) is driven along two guideways in the Y-axis direction where each shoulder of the bridge is driven by a linear system equipped with a separate servo motor. To prevent a torque moment in the Z-axis direction and thereby distortion of the bridge structure, force feed-forward control is applied by the controller. This depends on the detected position of the measurement head as it moves along the X-axis guideway and the setpoint acceleration along the Y-axis. Alternatively, comparison of the accelerations of the Y-axis guideways may provide additional feedback control of the bridge moment. Dependable, high-accuracy, position encoders are vital for these complex control regimes to work. A combination of a priori data and position and acceleration feedback in the X-, Y- and Z- axis directions are used to give the highest-levels of metrology performance. Renishaw encoders and scales are used across the full range of CMMs offered by DUKIN and the TONiC incremental encoder system with RTLC linear scale is installed on DUKIN’s gantry and bridge-type models. RTLC is a low profile stainless steel tape scale featuring a 20 µm pitch. It is accurate to ±5 µm/m and may be ordered in lengths of up to 10 m. Any thermal expansion of RTLC scale is independent of the substrate as it is suspended in a carrier track, which maintains an air gap underneath the scale. As temperature changes occur in the CMM operating environment, the RTLC scale does not follow the same degree of deformation as the granite base. Thermal compensation is therefore greatly simplified – particularly in temperature controlled environments with the encoder scales and workpiece(s) in thermal equilibrium. TONiC’s dynamic signal processing gives improved signal stability with ultra-low Sub-Divisional Error of typically <±30 nm to help realize superior motion control performance. 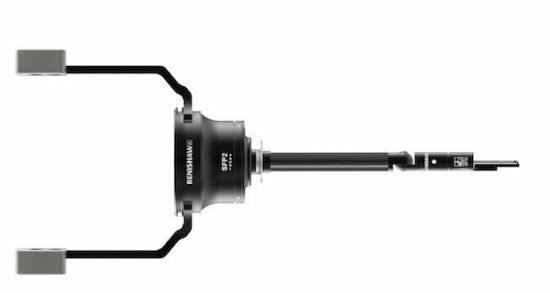 Renishaw’s SFP2, a surface finish measurement probe designed for use with the REVO 5-axis measurement system on coordinate measuring machines (CMMs), increases the REVO system’s surface finish measurement ability. 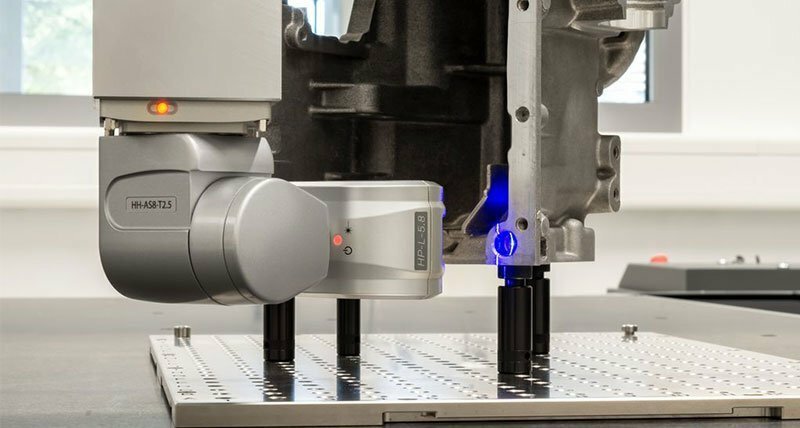 The REVO system offers a multi-sensor capability with touch trigger, high speed tactile scanning and non-contact vision measurement on a single CMM. The surface finish system is fully integrated with the standard CMM inspection program, thanks to the automatic changing of the SFP2 probe and stylus holders using the MRS-2 rack and RCP TC-3 ports. It is managed by the same I++ DME compliant interface as the REVO system, and the MODUS metrology software provides full user functionality. Vietnam: A manufacturer of diesel engines and agricultural machinery, Southern Vietnam Engine and Agricultural Machinery Company Limited (SVEAM) said it will invest efforts in improving the quality of its machinery, so as to attract more international buyers to its agricultural machinery manufactured by domestic companies. 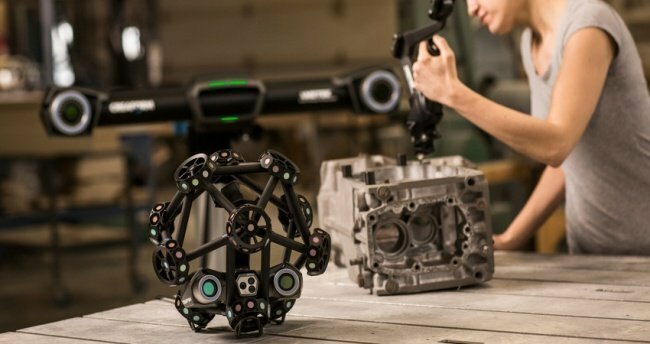 Eddy Lek, product marketing manager, Asia Pacific, Faro Technologies explores five ways that 3D measurement improves quality and productivity for the automotive industry. The first release of Hexagon’s PC-DMIS 2017 measurement software has several new features. Basic scanning operations are extended to QuickMeasure tools, while a new measurement strategy for AutoFeature Plane enables discrete point selection. QuickFeature selection is also now available in the Live View on optical CMMs.